As part of Ativ, its new Windows 8 brand, Samsung introduced the Ativ S smartphone and Ativ Tab tablet, the first in its mobile Windows 8 and Windows RT explorations. The devices made their debuts at IFA 2012 in Berlin along with two Windows 8 PCs, the Ativ Smart PC and Ativ Smart PC Pro in an onslaught of new hardware, including the Galaxy Note 2. The Windows RT-powered Ativ Tab has a 10.1-inch display, weighs 570 grams and is 8.9mm thick. It'll follow the Windows UI display, and run standbys like Internet Explorer, Microsoft Office, Bing and Student 2013 RT preview, among other functions. Plus, the Ativ Tab'll sport a USB port and uHDMI. Two cameras - a 5MP on the back with auto focus and LED and a 1.9MP VT on the front - can snap and grab any shot coming the RT tablet's way. An 8,200 mAh battery gives lasting power while its compatability with Windows-based PC devices and various accessories – like printers, keyboards, projectors, etc. – make it an easy to use, ready to go tab. 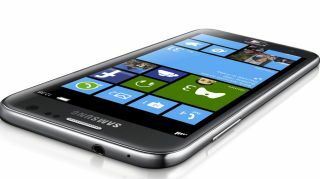 One of the first in what will likely be many Windows Phone 8's as the OS nears its Oct. 26 release date, the Ativ S sports a 1.5GHz dual-core processor and HSPA+42 connectivity for greater browsing performance. Designed to perform at its peak no matter if someone's making a call or playing a mobile game, the response time on this device, according to Samsung, is bar none. The Windows Phone 8 packs a 4.8-inch HD Super AMOLED display. Weighing in at a hefty 135 grams and boasting an aluminium bod, the phone could withstand a drop or two (not that we recommend that). The near-5-inch beauty comes in either 16GB or 32GB flavors and stores 1GB of RAM with a microSD option. No word on a release date or price for either device yet, but TechRadar will keep you posted.